Stoke City 1 West Bromwich Albion 1, 24/09/2016. Bet365 Stadium, Premier League. 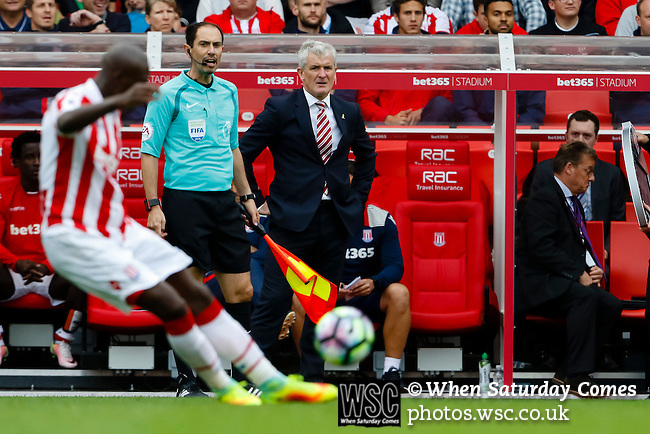 Mark Hughes Manager of Stoke City, Stoke City v West Bromwich Albion at the Bet365 Stadium. Photo by Paul Thompson.